Namaskar. I on behalf of Guwahati Press Club have hereby lodged a protest against the authority and the police of your government against the way RTI activist Akhil Gogoi was arrested from our campus on June 24 at around 2:50 p.m. The secretary of Krishak Mukti Sangram Samiti was picked up by the police in the middle of a hurried press conference organized by the organization in our press club auditorium. We believe that Akhil Gogoi should have been allowed to complete the press meet as there was no unwanted incident taking place in our campus and later he could have been arrested outside the campus of the Press Club. This is for your kind information that Akhil Gogoi booked the space in the Press Club auditorium Friday from 3 p.m. (to 5 p.m.) for a press conference. He arrived at the Press Club premises by 2:10 p.m. and had some food in the canteen. For some reasons, best known to the activist only, he rushed to the auditorium by 2:30 p.m. and abruptly started his press conference. Most of the reporters were even outside the auditorium at that moment. Then arrived a few police personnel in the premises and marched to the auditorium. They were requested not to proceed by the Press Club employees and member-journalists. 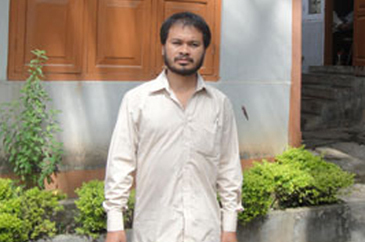 But the police personnel accompanied by a magistrate defied the request and arrested Akhil Gogoi while he was addressing the media. We, of course, want to clarify that Guwahati Press Club does not have any intention to safeguard anybody against the law and we were no way interested in preventing the arrest of Akhil Gogoi. We only expected that he was allowed to finish the press conference and avoid our campus while arresting him. Hope you would take note of our protest letter and take necessary steps.